Lookout and Verizon are teaming to help more enterprises and SMBs secure mobile communications (or data) across personal and corporate owned devices. Through this initiative, Lookout Mobile Endpoint Security is now available as part of the Verizon's powerful suite of mobile security management solutions for business customers. Lookout has a decade of experience securing hundreds of millions of mobile devices around the world and a dataset of more than 50 million apps. This knowledge allows us to effectively spot attacks and see connections in code. 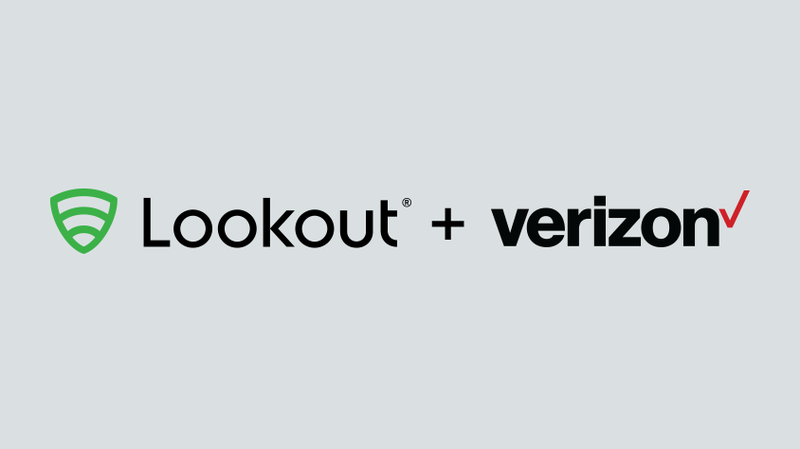 With the addition of Lookout Mobile Endpoint security, Verizon is on the cutting edge of providing business customers with industry leading, mobile solutions enabling productivity while helping protect corporate data from the spectrum of mobile risk. As Verizon recently identified in its inaugural Mobile Security Index 2018, a majority of surveyed organizations (62%) feel that a lack of understanding of threats and solutions are a barrier to mobile security. In fact, less than 1/3 of organizations use mobile endpoint security and less than half (47%) said they use device encryption. Gain increased visibility and control over corporate data on mobile: Many employees store and access corporate data via their mobile device, so it is essential for IT and Security teams to understand how that data could be maliciously taken or accidentally leaked from the device. Lookout provides visibility and protections for a variety of mobile risks that could expose personal data, including malicious apps that steal information, device vulnerabilities that can be exploited, apps that leak data, man-in-the-middle attacks, and mobile phishing attempts. Take steps towards reaching compliance on mobile: With Lookout, Verizon customers gain visibility into apps installed within their employee base that may be out of compliance with corporate security policies and/or industry regulations. Enable employees to work safely on the go: Lookout protects employee devices and data through an automatic on-device analysis of network connections to defend against attacks and help keep transmitted information secure. Protect employee data by choosing a solution that puts privacy first: Lookout adheres to data minimization and purposeful data collection principles. It has robust privacy controls, including the ability to restrict collection of any PII associated with users or devices under management, as well as limit end user information presented to administrators of the Lookout solution. In addition, Lookout is EU-U.S. Privacy Shield certified as of October 2016, ISO27001 certified as of June 2017, and FedRAMP In Process as of November 2017. Enhance risk remediation capabilities via integrations with enterprise solutions: For simple deployment and device management, Lookout integrates with any enterprise mobility management (EMM) solution, such as MobileIron and IBM MaaS360, which are also offered through Verizon Mobile Business Solutions. To manage threats centrally, obtain visibility quickly, and take remediation actions immediately, Lookout also integrates with all SIEM systems (such as Splunk, ArcSight, and QRadar) via its Mobile Risk API. By adding Lookout, which was recently recognized as a Leader in the IDC MarketScape for Mobile Threat Management, Verizon can empower customers to better manage and secure mobile devices -- whether corporate or employee owned. To learn more about Lookout Mobile Endpoint Security, visit https://www.lookout.com/products/mobile-endpoint-security. To purchase Lookout through Verizon Wireless, visit https://www.verizonwireless.com/biz/productivity/business-apps/ or contact your Verizon representative.